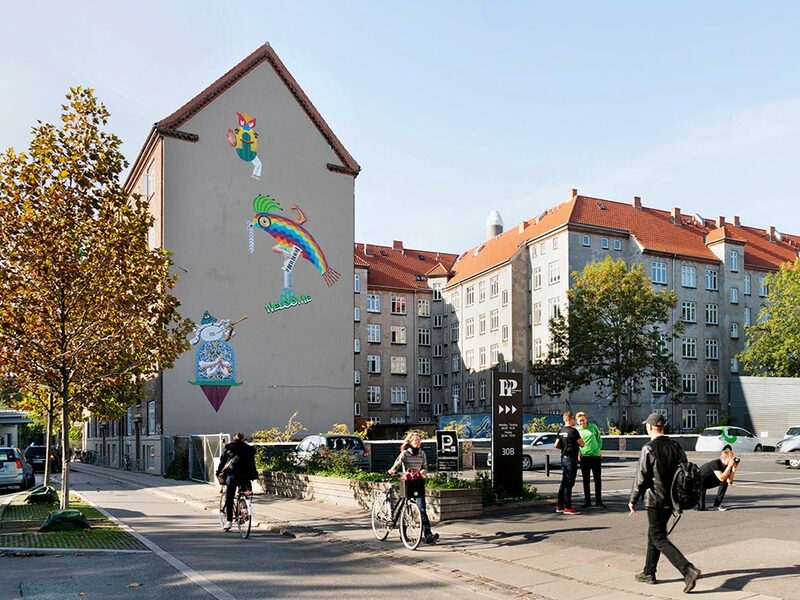 The mural Forenede Fasaner (United Pheasants) is the second final step of the community project and performance Forenede Fasaner – parade for Nordre Fasanvej (2016) in which J&K collaborated with 15 social groups and companies from the multicultural area “the birds quarter” around Nordre Fasanvej. 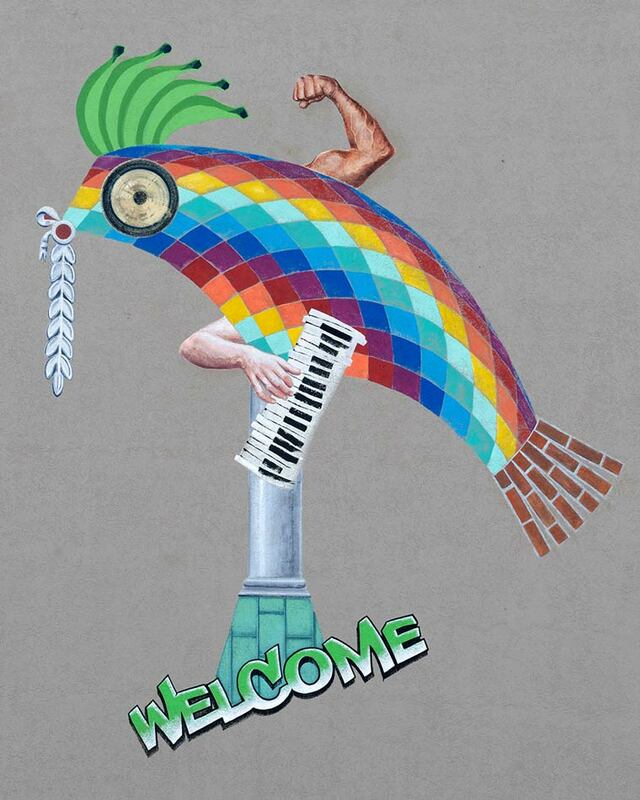 Following the principle applied in the parade, the mural is a collage composed from visual samples from the hyper diverse neighbourhood bridging Copenhagen and Frederiksberg Councils. The work is innovative within the mural genre as the entire visuality is strictly departing in the artistic research and a long term participatory community process within this neighbourhood undertaken by J&K since 2015. 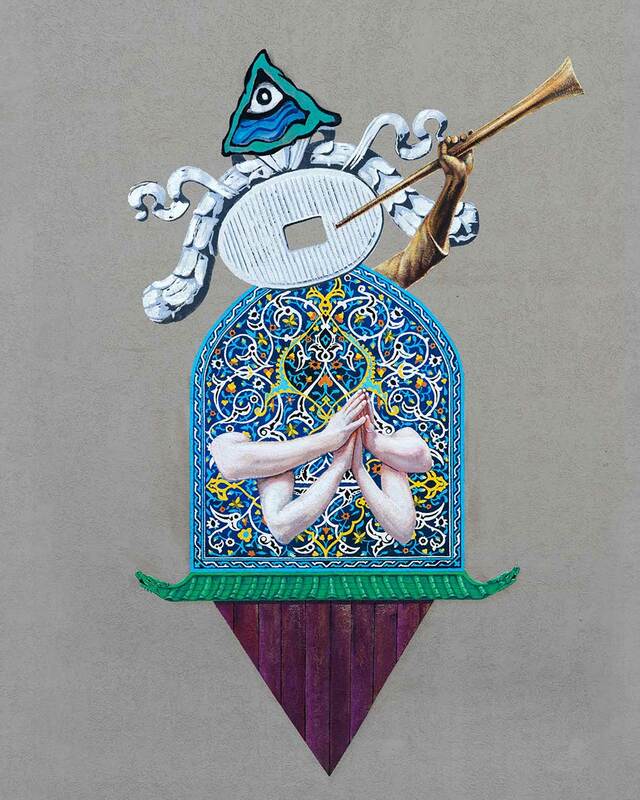 By juxtaposing architectonic elements, cultural symbolism and everyday icons and composing them into three joyful figurative beings the work reflects the rich cultural diversity of the “bird’s quarter area” in a playful way and acts as a visual and welcoming gateway into the area. 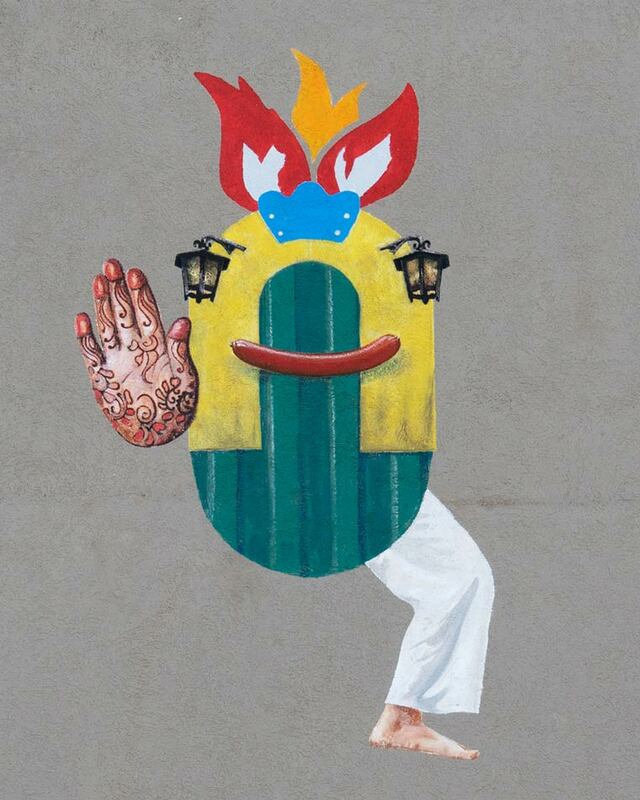 Forenede Fasaner was realised in collaboration with Somewhere, Nordre Fasanvej Kvarteret in Frederiksberg Council and the production was realised under direction of scenic painter Raz Brandt in collaboration with Christine Bechameil, Liselotte Møller og Rebecka Gothen.